Kilian Jornet and Emelie Forsberg toed the line with one of the most ‘elite’ fields ever on UK soil for a mountain race. Yes, the 2017 Migu Run Skyrunner Extreme Series stepped up a notch and went Extreme! In Scotland for the Salomon Glencoe Skyline. ‘This’ race truly is one of the best races out there!’ Was the consensus when runners finally made it to the finish line. To get across the tape though requires some endurance, skill and the technical ability to climb Curved Ridge and to cross the infamous ‘Aonach Eagach’ ridge. Gaining Skyrunner® Extreme Series status has had a huge impact on this race and like Jornet says, this race has become ‘the one’ to do in addition to the iconic KIMA which will take place in 2018 and Jornet’s and Forsberg’s own, TROMSO SkyRace. No question about it, the 2017 edition of the race had the greatest field ever assembled for a mountain race in the UK with a who’s who of elite runners with runners coming from all over the world to test themselves on the best course against the best runners. Coming into this edition, Jornet was the hot favourite, how could he not be? The Catalan didn’t disappoint, he opened up a small gap while climbing Curved Ridge but it all came back together again with Jon Albon, Bhim Gurung, Andre Jonsson, Alexis Sevennec and the USA’s Max King keeping in contention. As they climbed to Aonach Eagach Jornet made his move extending away from Albon. Albon re-caught him though and apparently took Jornet by surprise. Jornet looked around and moved into the next gear pulling away from the 2016 Skyrunner Extreme Champion. By the time he reached the finish line, a new course record was his in 6:25:39! Last years winner Albon was ‘first human’ in 2nd place in 6:31:45. Importantly for him though, 2nd place confirmed that he would also be the 2017 Migu Run Skyrunner World Series Extreme Champion once again – a great result. Alexis Sevennec placed 3rd, a race that for him is a little long (his words) but after racing the Mamores VK and Ring of Steel in 2016, he wanted a new challenge, 3rd on the podium 6:40:34 a great result. In the ladies’ race, Emelie Forsberg lead from the gun and although Megan Kimmel pushed her close in the early stages, this race had Forsberg’s name written all over it! She won the first edition in 2015, missed 2016 with injury and now the comeback is complete. Forsberg beamed her amazing smile on the course and after it. ‘I so love this race and Scotland. It reminds me of Norway but it is also so different, just amazing!’ In the process, like Jornet it was a course record performance setting the new level at 7:53:30. The USA’s Megan Kimmel is not known for her ability on technical terrain but here she excelled keeping on contact with Forsberg early on and then consolidating a strong 2nd place ahead of the indestructible Ragna Debats. The duo finished in 8:14:57 and 8:22:55 respectively. Importantly, Maite Maiora who won the Royal Gran Paradiso and Tromso SkyRace did not run in Scotland as she already had the 2017 Migu Run Skyrunner World Series Extreme title secure with two victories. Ever-present in the Extreme series, Malene Bikken Haukoy placed 4th and the UK’s Beth Pascall 5th, their times 8:26:53 and 8:34:14. The Salomon Glencoe Skyline route features long and sustained sections of scrambling terrain, which is roughly equivalent to moderate standard rock climbing. In addition, the race traverses high and remote mountainous terrain, which is at times impossible to retreat from and may be subject to severe and rapidly changing weather. The day started in glorious sunshine but as predicted, a weather system arrived late morning bringing in cloud and clag, however, conditions remained dry. The crossing off the Aonach Eagach was considered the most challenging part of the route and although rocks were slippery, many considered conditions to be good. The tiny ski-resort of Arinsal was bustling as 300+ runners lined up to take part in the next stage of the 2017 Migu Run Skyrunner® World Series, the SkyRace® Comapedrosa. The weekend also would host the ISF Skyrunning Youth World Championships over a shorter 15km course. The SkyRace® Comapedrosa’s full course is 21km in length with a vertical ascent of well over 2,000m. The most challenging part of the course, in addition to very technical terrain, was the 1000-metre vertical climb over 2km in length to the summit of Coma Pedrosa – the highest point of the course (and Andorra) at 2,942m. The surprise of the day was without a doubt Rui Ueda, who made the pace early on. He was later passed by Marco De Gasperi after the Italian Skyrunning legend made a stunning climb to the Coma Pedrosa summit which sits just under 3000m.He flew across the finish-line, beaming and looking incredibly fresh especially when one considers just last weekend he took a podium place in the Dolomites. Ueda held off a charging Zaid Ait Malek who ran a stunning descent. Adrien Michaud finished 5th and last year’s 2nd place Aritz Egea was just outside the top-5. De Gasperi ran 2:41:50 and Ueda 2:44:54. The course is extremely hard – the climbs are like vertical kilometers. There is no flat running in Comapedrosa. This course suits the vertical specialist but at the same time what comes up must come down and Maragrit Sole not flew up but flew down and in the process set a new course record 2:35:36. In the female field, few were surprised at race favourite Laura Orgué’s early charge and dominating the race from the front. She climbed hard using her VK skills and by the time she reached the summit at Coma Pedrosa she had a convincing lead over Sheila Aviles Castano, race surprise Takako Takamura, Megan Kimmel and Hillary Gerardi. For Laura Orgué though, victory was not to be today. She gave it her all but on the descent a recurring stomach issue struck causing severe pain. She continued but struggled. Avilés Castano passed and took an incredible victory in 3:17:36. Orgue held on for 2nd in 3:19:29. Takamura finished an incredible 3rd in 3:26:43 and the USA’s Gerardi followed 2nd in the Dolomites last weekend with 4th here in 3:28:43. Pre-race favourite Megan Kimmel, also from the USA had a tough day but finished 5th in 3:33:22. The Migu Run Skyrunner World Series 2017 continued a pace with the 20th edition of the Dolomites SkyRace. It was always going to be a memorable one and the race didn’t disappoint! Thunderstorms, rain and low cloud resulted in a delayed start by 30-minutes. It was hoped that this delay would allow the weather to clear. The rain did stop but the cloud came lower. Unfortunately, the final section of climb to the summit of Piz Boe at 3252m was pulled from the race for safety reasons. This resulted in less kilometers and less vertical gain and ascent. Course records of course don’t count in situations like this, the previous bests held by Kilian Jornet and Megan Kimmel. Neither of these stars were running today, however, defending champions Tadei Pivk and Laura Orgue, respective 2016 winners were expected to dictate the race. Laura Orgue did not disappoint, her 4th from the previous day’s VK soon forgotten, the Spaniard dictated the pace and looked strong throughout. At the new summit of the race her margin of lead was in the minutes and all she needed was a sold descent to Canazei to seal victory once again – she did it! Laura’s time 2:36:29 almost 90-seconds quicker than rising Skyrunning star, Hillary Geraldi from the USA who produced a stunning descent to go past early 2nd placed runner Hilde Alders who held on for 3rd, their times 2:37:55 and 2:39:55. Silvia Rampazzo placed 4th, Zuzana Krchova 5th, Magdalena Kozielska 6th, Oihana Azkorbebetia 7th, Stephanie Jimenez 8th, Katrine Villumsen 9th and Paola Gelpi rounded out the top-10. In the men’s race, VK and Sky specialist Remi Bonnet dictated the pace on the climb and has a substantial gab over David Magnani, Martin Anthamatten, Ruy Ueda, Marco De Gasperi, Jan Margarit and who’s who of Skyrunning talent. Pre-race favourite, Tadei Pivk, was in the latter half of the top-10 and not looking good! At the high-point of the course the wild and rough descent to the line follows. It’s not for the feint hearted and Remi Bonnet was forced to reduce his pace protecting an injury that almost kept him out of the sport in 2016. This opened the doorway for David Magnani and Marco De Gasperi. However, it was Jan Margarit who seized the bull by the horns and in his own words, “I ran the fastest descent that I could!” Fast it was, he moved from 5th to take the lead. The pressure was now on with a neck-for-neck race to the line, it was so close but Margarit held on by just 22-seconds to beat Magnani to the line, De Gasperi followed in 3rd just 23-seconds later. It was the close! A real race and just 45-seconds separated the top-3 runners – 2:06:20, 2:06:42 and 2:07:05. All credit to Skyrunning legend De Gasperi who is twice the age of the duo ahead of him. Remi Bonnet held on for 4th, Martin Anthamatten 5th, Pascal Egli 6th, Martin Stofner 7th, Tadei Pivk 8th, Yuy Ueda 9th and Nadir Maguet rounded out the top-10. It was a day like no other, fast racing, unpredictable weather and the confirmation of Skyrunning legends and the rise of new ones – just how a 20th edition of a race should be. Attention now turns to this coming weekend and the Comapedrosa SkyRace in Andorra, in addition to a 2017 Migu Run Skyrunner World Series race, the Skyrunning Youth Championships will also take place. The Migu Run Skyrunner® World Series continued at a pace today with the High Trail Vanoise – 70km in length and 5400m of vertical gain. Starting and concluding at the iconic ski resort of Val d’Isere, this race marks back to the early days of Skyrunning mixing fast trails, technical trails, snow, ice and altitude. The course has many key features with highlight coming at Grande Motte (3500m) and then a rollercoaster of climbs and descents that finally culminates with Aiguille Pers (2800m) before dropping down to the Col I’seran before the final push to the line. Departing under darkness at 0400, it was very apparent that a warm and hot day lay ahead. The early hours were always chilly ones, especially as the runners climbed from the start to Grande Motte at 3500m+ in the first 17.5km. In the early stages, a small group of runners pushed the pace lead by Luis Alberto Hernando, Dimitry Mityaev and Aurelien Dunand Pallaz – the trio arrived at the summit with just 90-seconds between them. In the ladies race, Megan Kimmel arrived first and Ragna Debats followed just 4-minutes later with Mimmi Kotka another 1-minute back. It was all too close to call! From the summit of Grande Motte, the arrival of sunlight facilitated the long fast descent past Lac de Tignes all the way to La Daille at approximately 34km. By now the runners were spread out all over the course but the front of the race saw Hernando, Dunand Pallaz and Mityaev arrive together and it stayed that way up the steep climb. Megan Kimmel had a 2-minute slender lead over Debats who looked strong and fight for 3rd was between Kotka and the USA’s Hillary Allen. A 4km climb to Lac Sassier was followed with a rollercoaster descent to Le Fornet at 46km, Hernando had opened up a 2-minute gap on Dunand Pallaz and Mityaev was 11-minutes back. Kimmel also opened the gap over Debats – would 7-minutes be enough? Now the action was really unfolding and arguably, the next section of the course from Le Fornet to Aiguille Pers via Tete Cema was going to be instrumental as this section climbed for 10km with an altitude gain of 1400m +/-. From the summit a fast descent to the iconic Col I’seran was followed by a short climb with technical sections before passing through a tunnel through the mountains which was followed by a fast drop to the line and finish in Val d’Isere. Hernando here put the hammer down and slowly but surely stretched the elastic and took a strong victory in 8:17:05 smashing the old course record. Dunand Pallaz followed in 8:31:04 and Mityaev sealed the last podium place in 8:43:10. Kimmel’s victory never looked in doubt in the final stages and her 9:46:05 to Debats 9:52:10 showed how close the ladies race was. The battle for 3rd was also close with Kotka and Allen both struggling with fatigue in the latter stages – Kotka held on with 10:30:21 to Allen’s 10:33:52. Notably, the High Trail Vanoise was the Skyrunning European Championships and Luis Albert Hernad and Ragna Debats were crowned 2017 Champions. Attention now turns to Italy to the Gran Paradiso race, the first ‘extreme’ race in the 2017 Migu Run Skyrunner® World Series. The 2017 Migu Run Skyrunner World Series arrives in Val d’Isere, France this wwekens for the High Trail Vanoise and the Face de Bellevarde VK (VK World Circuit) kicks off the action at 1600 on Friday when runners will climb this classic downhill ski route all the way to the summit. Skyrunning legend Marco De Gasperi, held the record of 34:51 set on this course many years ago last year Xavier Gachet broke it! This year, Nejc Kuhar will be looking to set a new benchmark along with Marco Moletto. The young runner won’t have it all his own way though, Ferran Teixido, current leader in the SWS rankings will be looking for a strong performance and the ever-present Hannes Perkmann, William Bon Mardion and Marc Faccinhelli will push all the way to the summit. For the ladies, Francesca Rossi ultimately may be the one to beat! Ekaterina Mityaev and Stephanie Jimenez will be putting on a hard-fought battle along with Corinne Favre and Jennifer Fiechter, but can they beat Laura Orgue’s time of 40:52? High Trail Vanoise is the main event of the weekend – Ice, snow, glaciers, high altitude, the High Trail Vanoise course has it all. Crossing the iconic Col D’Iseran at 2764m is merely just a taster, at 67km in length, runners will climb and descend many 1000’s of meters with a total vertical gain of 5400m – the high point of the course is the impressive Grande Motte at 3653m. Luis Alberto Hernando heads up the men’s field, he recently became IAU World Trail Running champion for a 2nd year in a row – Luis has excelled in Val d’Isere in recent years and he is without doubt the one to beat! Nicolas Martin won the race last-year and apparently, HTV is a priority race for 2017. It’s going to be interesting to see Luis and Nicolas go head-to-head, a little like a few years ago when Francois d’Haene and Luis raced each other – that day Francois won. Aurelien Dunand-Pallaz recently lead the Ultra Skymarathon Madeira but was pipped to the line by Skyrunner Extreme Champion Jon Albon, we can expect Aurelien to figure at the front of the race along with 3rd place at USM, Dmitry Mityaev who is having a strong year in the world series, he also knows HTV well having podium last year. Remigio Huaman, Andre Jonsson, Daniel Garcia Gomez, Jan Bartas, Nuno Silva and Scott Hawker head up the competition for the front of the race but it’s a stacked field and we can’t rule any of the runners below making an impression on what is a very tough race – patience pays dividends! Xavier Teixido, Alexey Kurochkin, Artem Rostovstev, Clement Ripoll, Marc Puig, Francesc Sole Duocastella, Lars Olaf Haaheim and Nicola Alfieri. Megan Kimmel fresh from victory in Chamonix will be looking to for maximum points in France, her form is great now, she recently beat Transvulcania champion Ida Nilsson by over 10-minutes! Local French lady Anne-Lise Rousset may well have other thoughts though, she won the race last year with a dominant performance and she knows this course well – it will be a tough race! Travelling from the USA, Kristina Pattison will be looking to repeat her performance from last year and hopefully better it. Ekaterina Mityaeva is moving un from the ‘classic’ distance in 2017 and has already showed some great results, particularly at USM recently. HTV will be a tough challenge but the podium is there for the taking. Nuria Dominguez, Manikala Rai, Eva Maria Moreda and Ildiko Wermescher are all names to watch. But the greatest threat for the podium will come from Ragna Debats who recently won with a new CR in Greece, Francesca Canepa who took victory at the tough Scenic 113k, the USA’s Hillary Allen who won USM and Gemma Arenas who was the world series champion in 2016 – it’s going to be quite a battle! The 2017 Migu Run Skyrunner® World Series kicked-off this weekend in China with Yading Skyrun – a 29km ‘SKY CLASSIC’ event that set a new benchmark in high altitude sport. Yes, Skyrunner’s got high in China with a personification of racing in the sky – 4700m to be exact! Staring in the centre of Yading’s Shangri-La the race started at 0700 with a gradual downhill to ease the legs and mind into a gruelling day amongst some of the finest trails, mountain and sky that China has to offer. After 3.5km, the race will hit the lowest point – 2860m! To place this in perspective, most races in Europe ‘top-out’ at 2800m! From here, the only way was up – passing a small village, the race route hugs a single-track that weaves through the mountains and reaches the race summit at 4700m. Buddhist prayer flags make an iconic and memorable end to hours of climbing and what follows is a fast descent all the way back to Chonggu Temple and the finish line. Yading is blessed with immense natural beauty, including the three sacred peaks (Mount Chenrezig, Jampayang, and Chenadorje) which loom over the National Park at an altitude of over 6,000m. From the 5th Dalai Lama through Joseph Rock this area has been a source of spiritual inspiration. Featuring 22 races in 11 countries, the Yading Skyrun was a great start for the 2017 Migu Run Skyrunner® World Series. The pure ethos of racing in the sky was personified by this season opener. Skyrunning was grounded as a high-altitude sport in the early 90’s and now, some 25+ years later, Skyrunning reaches new heights – 4700m to be exact! Yading, located in China’s Sichuan province provided a perfect arena for modern day running gladiators to battle amongst the incredible landscape and high-altitude that this area has to offer. Megan Kimmel approaching the 4700m summit of the race. The ladies race was all about 2016 Yading champion Megan Kimmel. She returned to China from her home in the USA and showed the competition a clean pair of heals in what was a strong and stand out performance that will most definitely have the completion looking at the calendar ahead and wondering how do we beat this outstanding performer. Ragna Debats finished 3rd in 2016 and this year moved up one place finishing 2nd ahead of Katrine Villumsen – their times 4:06:42 and 4:13:21 to Kimmel’s impressive 3:33:55. Andy Wacker, here leading the race eventually finished 2nd. The men’s race was somewhat of a nail-biter and nobody could have predicted that Bhim Gurung would repeat his 2016 victory. USA based Andy Wacker (who placed 3rd in the previous day’s VK) lead the race at a relentless pace. At one point, he had opened up a large gap on the chasers – Pascal Egli, Duo Ji and Bhim Gurung. However, at the highest point of the race at 4700m and with just over 5km’s to go – Gurung unleashed a relentless downhill that reeled in all the competition. Skyrunning may very well be about the uphill, but as so many races have shown, (the Dolomites SkyRace a great example) what goes up must come down and Gurung was without equal in China. He crossed the line in a new course record 3:06:51. Wacker held on for 2nd in 3:08:23 and Ji edged out Egli for 3rd in 3:08:49. Unlike many races in the 2017 Migu Run Skyrunner® World Series Yading was very unique due to the the high-altitude. It was noticeable amongst the elite athletes as they fought against oxygen debt. Lower down the field though, runners battled the conditions to achieve their own personal goals. China offered a very unique and awe-inspiring start to 2017 and for sure, China holds a bright future for new events with China Mountain Trails and Migu Run. Attention now turns to the now iconic island of La Palma and the Transvulcania Ultramarathon which has become a flagship of the ‘SWS’ ever since the iconic 2012 edition – Less Cloud, More Sky! Follow the action from May 11th through to May 14th. The Yading VK started on May 1st starting at noon. Covering a distance of 7km the race had an elevation gain of 1072m – starting at 3992m and concluding at 5000m, a first for Skyrunning! Read the race report and view the images HERE. The Yading Kora Ultra started alongside the Yading Skyrun and extended its race loop from the Chonggu Temple to take in the Kora pilgrimage route over 46km. The latter stages of the race were the final 5km’s of the ‘classic’ race from the 4700m summit all the way down the single-track to the finish line at 3992m. With over 2,300m of elevation gain over the length of the course, and the finish line sitting at just over 4,000m, the race challenges beginners and elites alike. The race was fast and furious with Salomon Running International athlete Ida Nilsson taking an incredible victory in 6:05:02 and placing 6th overall. 妍星 马 placed 2nd in 7:52:30 and Yasuko Nomura 3rd in 9:22:07. The men’s race was won by 2:16 marathon runner, 敏 祁 in 5:19:28. Francois d’Haene placed 2nd and 晶 梁 3rd, 5:28:07 and 5:48:13 respectively. Yading Kora Ultra ladies winner, Ida Nilsson. The “2017 Migu Run Skyrunner® World Series”. The Chinese company, Migu Run, under the name of Migu Xempower, was the Series’ main sponsor in 2016. The 2017 Migu Run Skyrunner® World Series features 22 races in 11 countries and will reward the champions in the various categories a € 60,000 end of season prize purse. The Chinese company Migu Run, the creator and owner of an advanced online and offline exercise and health management platform, has been announced as the new long-term title sponsor of the Migu Run Skyrunner® World Series beginning in 2017. The Series is structured in three categories, Sky Classic, Sky Extreme and Sky Ultra, counting 22 races in 11 countries stretching from April to October. Yading is the highest race of the circuit reaching 4,664m altitude. The Yading Skyrun will be organised by China Mountain Trails (CMT), a subsidiary of Migu Run, entrusted with spearheading the trail and mountain running events. The results for the 2017 UTMB were announced on January 12th 2017 at 10.00 (Paris time) and what a draw! The list of persons registered and runners files can be viewed at http://www.ultratrailmb.com, all those entered will be confirmed by email. Those runners lucky in the draw then have a period of 14 days, January 12th to 25th 2017, to definitively finalise their registration by paying, by credit-card, the balance of the registration price and sending in all the required supporting documents. It’s a big day for many, dreams are made and broken with the opening of an email. From a global perspective, a look at the elite start list provides an opportunity to whet ones appetite and imagine the race that will unfold for the UTMB and the races that also that happen in and around the main event, the CCC, TDS and OCC. In 2016, many considered that the line up in the UTMB was the best ever, well, 2017 may have topped it? Francois D’haene – Two time UTMB winner and countless other 100 victories. Gediminas Grinius – 2nd at UTMB in 2016. Julien Chorier – 8th at UTMB in 2016 but super solid at the distance. Miguel Heras – Looking for 2013 form when he placed 2nd. Luis Alberto Hernando – Hw wants this! 2nd in 2015. Xavier Thevenard – Champ in 2013 and 2015 the winner of ‘all’ UTMB races – CCC, TDS and OCC. Tofol Castanyer – 2nd in 2014. Pau Capell – TDS winner stepping up to the big dance. Yeray Duran – Stepping up but 2nd at TDS in 2016. 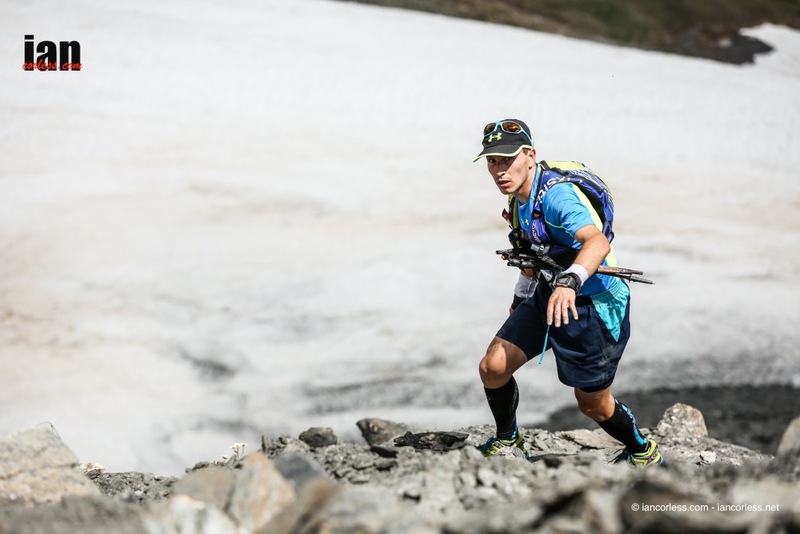 Diego Pazoz – Mont-Blanc 80km winner – an intersting prospect! Andy Symonds – Tried in 2016 but pulled out, he has a big race in him. Carlos Sa – 8th in 2014 and an ever-present. Kim Collison – Arguably the UK’s best hope for a top result. Francesc Sole – 7th at UTMB in 2015. Jim Walmsley – Unstoppable in 2016, UTMB is going to be a seriously exciting outing for him and us! But it doesn’t stop there, there other names to consider, the list goes on! Caroline Chaverot – Defending champ and un-stoppable in 2016. Nuria Picas – 2nd twice, she wants the top slot. Andrea Huser – Relentless, races week-in and week-out, 2nd in 2016. Emelie Lecomte – Tor des Geants champ. Beth Pascall – Lakeland 100 winner and course record could excel on this big loop. Sophie Grant – Has had two top UTMB placings. Gemma Arenas – Excelled in the Skyrunning ranks in 2016, Ultra SWS champ. Juliette Blanchet – 4th last year. Kaci Lickteig – Western States champ, Bear 100 champ and ultra-runner of the year – exciting! Magdalena Boulet – 5th at UTMB last year. Stephanie Howe – Western States 2014 champ who looks to be back after 2016 full of injury. Previously 8th at UTMB. Sally McRae – 11th at the 2016 Western States. Meredith Edwards – 2nd at TDS. Aliza Lapierre – Solid performer recently raced MDS in 2015 4th at Western States. CCC and TDS has always felt like a side show to the UTMB but Zach Miller in many ways changed all that with a show boat victory and we are now seeing the CCC as real stepping stone to UTMB with a highly competitive field. Notably for 2016, Megan Kimmel, Hilary Allen, Nathalie Mauclair, Maite Maiora and Anna Comet amongst others will go head-to-head in the ladies’ race. For the men, the prospect of what Hayden Hawks is exciting, especially when one considers Tom Owens and Ryan Sandes will toe the line. Add to the mix Erik Clavery, Ludovic Pommeret, Jorge Maravilla, Ben Duffus, Michael Borst, Marcin Swierc and Aurelien Collet and you have a very exciting race. TDS will see Rory Bosio head up a quality ladies’ field that includes Lucy Bartholomew and, Dong Li and Lizzie Wraith. For the men, Paul Giblin and Michel Lanne are followed by Samir Tamang, Arnaud Lejeune and many more. The 2017 UTMB week of races, look set to be a very exciting prospect.